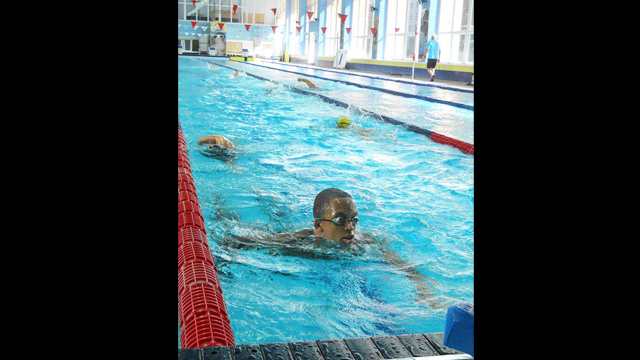 Despite their different backgrounds and homes, the swimmers communicate well during practice. 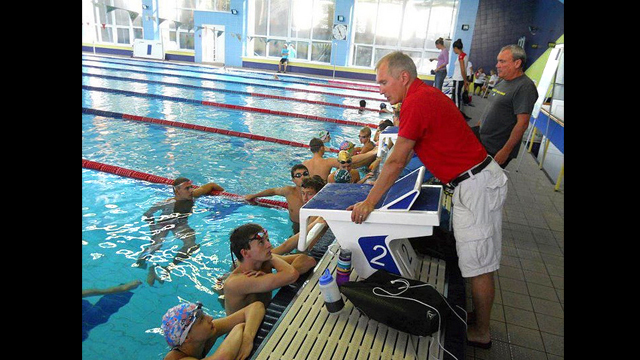 Coach Alex, originally from Belarus, coaches both the American swimmers and the Russian swimmers. An American swimmer perfects his stroke by the end of the program. Russian and American swimmers pose for a photo during an event at the American Embassy in Moscow, Russia. 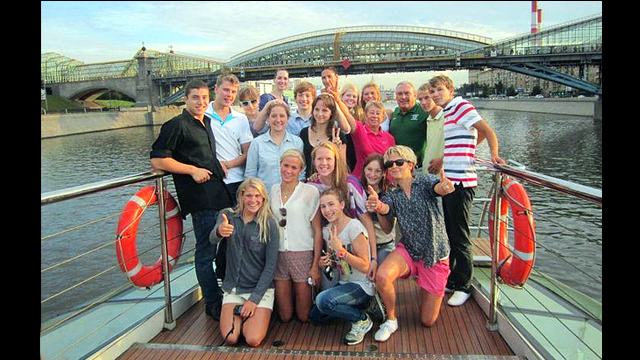 The American and Russian swimmers take a boat tour of Moscow, Russia. During breaks, the young athletes have an opportunity to socialize. The American delegation experiences a cultural boat tour after a day of intense practices. 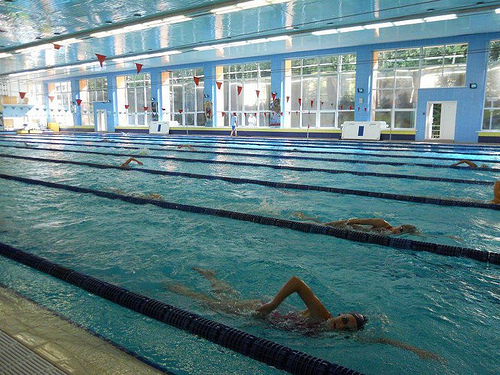 The athletes work on improving stamina and technique during each training session. The young American athletes enjoy practices in the Olympic Training Center in Moscow, Russia. 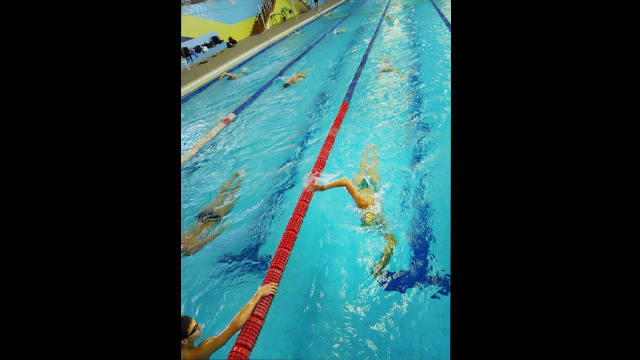 The swimmers warm up for an early morning practice with freestyle laps. The State Department had two concurrent bilateral sports exchange programs with Russia in the summer of 2012. The programs—one of which brought Russians to the U.S. and the other which sent Americans to Russia—support the U.S.-Russia Bilateral Presidential Commission’s (BPC) efforts to increase cooperation between the two countries. After an orientation in Washington, twenty young swimmers and four coaches from the United States went to Russia from July 14 to 27. 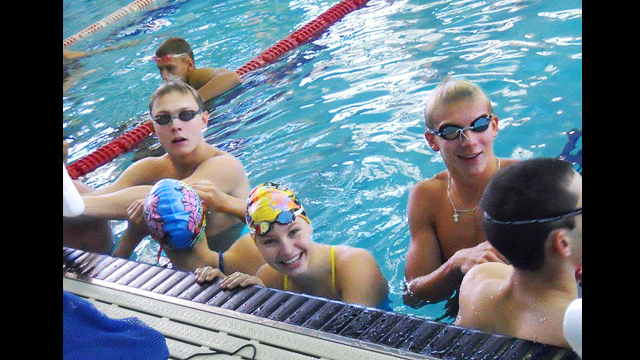 The American participants were selected in coordination with USA Swimming and came from Oregon, Illinois, and Florida. 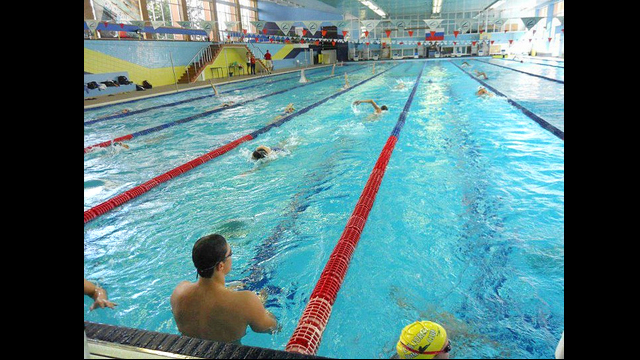 The group participated in swimming practices and engaged with their Russian peers during cross-cultural programs. Russian Hockey Players Come to the U.S.